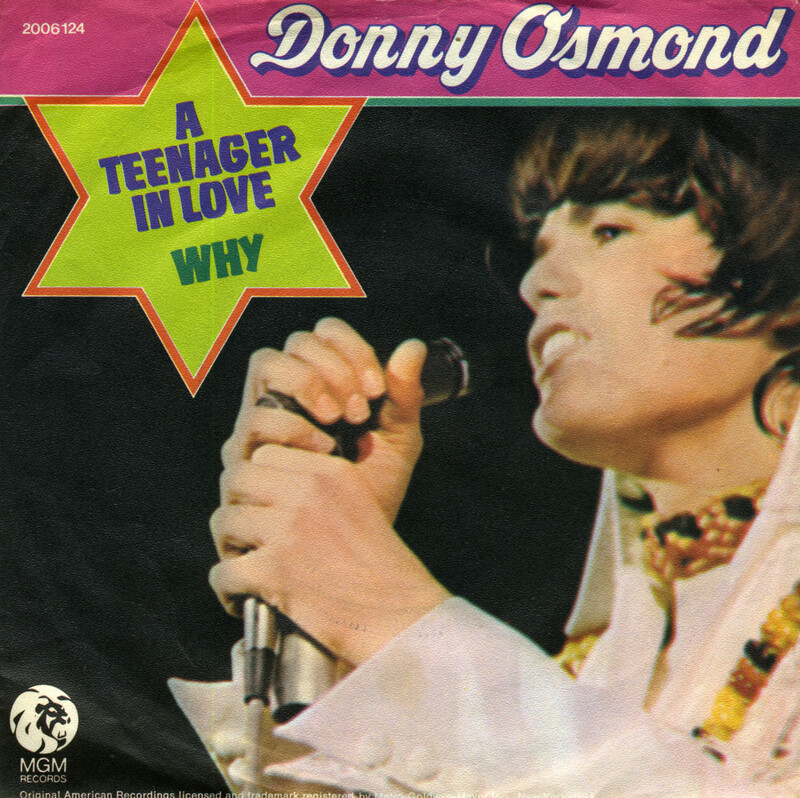 Released in 1972, 'A teenager in love' by Donny Osmond was a cover version of a track originally written by Doc Pomus and Mort Shuman, and made famous in 1959 by Dion and the Belmonts, Craig Douglas and, last but not least, Marty Wilde. I am most familiar with Marty's version, and it's funny to find a cover by Donny Osmond, since Marty tried to launch his son Ricky as a sort of 'new Donny Osmond' that very same year, 1972. In the UK, the sides of this single were apparently flipped, because 'Why' reached number 3 in the UK singles chart in November 1972.